As much as I love them, I wanted to try and get away from the bunnies and chicks themes for my Easter craft this year. After many exhausting hours on Pinterest (ahem…) I came across the traditional Swedish style of decorating, including the tradition of an Easter tree or Paskris. 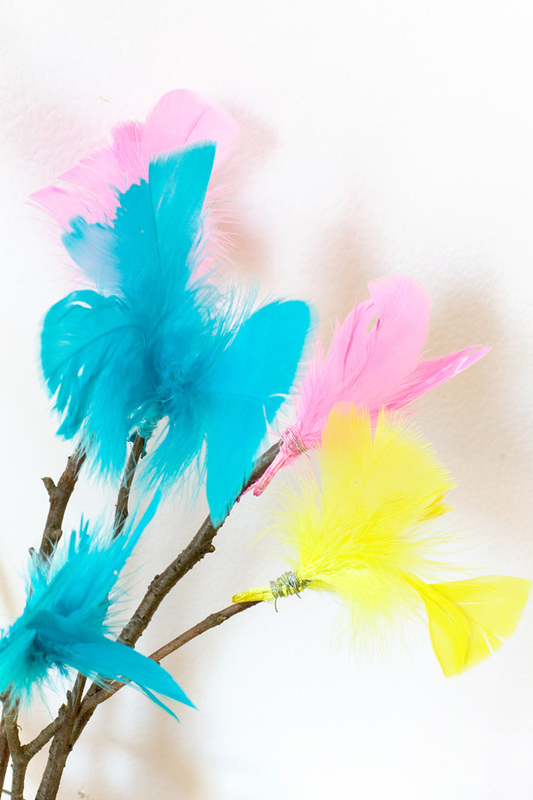 Not really a tree, it is usually a collection of birch branches adorned with colourful feathers placed in a vase, often then decorated with hand crafted egg and rooster themed ornaments. As with so many traditions, the origins aren’t 100% clear. I found references to old pagan traditions of bring willow branches into the house as a blessing, as well as that they symbolise the palm leaves placed on the ground as Jesus rode into Jerusalem on a donkey. If any Swedish readers have any thoughts on this, feel free to add comments at the bottom of the page! -Twigs or small branches. I foraged for mine at the local park, but you can buy them. –Feathers. 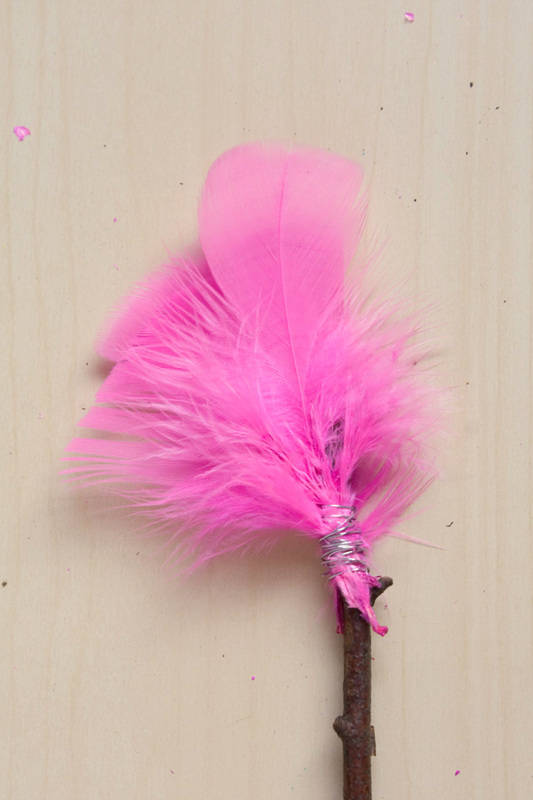 Mine were short craft feathers, but you could go mad and use ostrich, marabou or even peacock! -Wire. Standard garden wire will do. 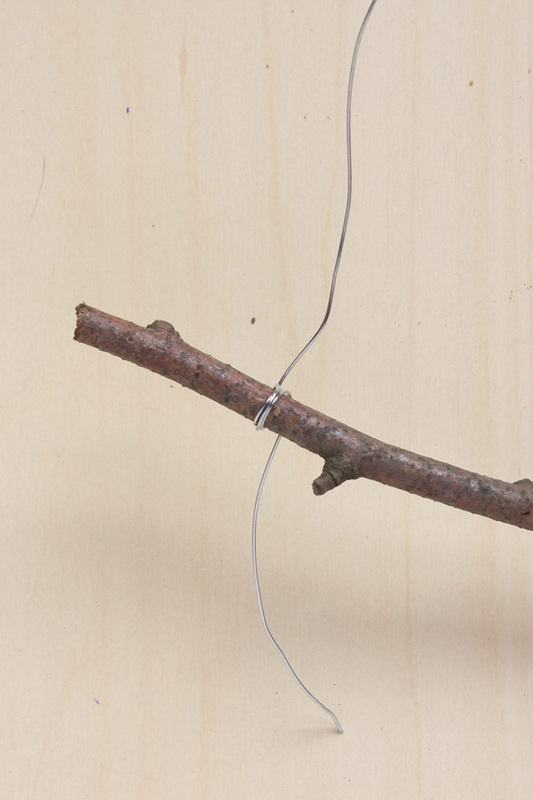 Cut a 30-50cm length of wire and wrap one end around a twig, a couple of cm from the end. Save your fingers and don’t try to wrap the very end of the wire, leave a tail and cut it off afterwards, its much easier! 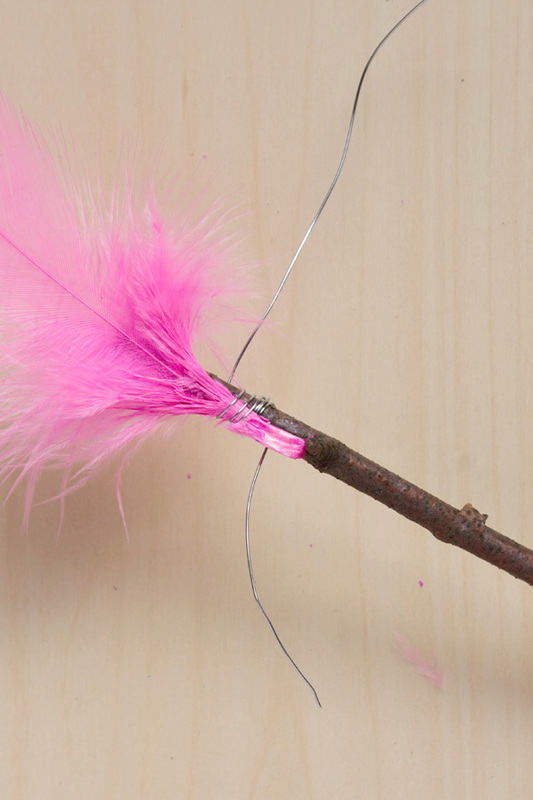 2.Lay the ‘quill’ of a feather over the top of the wire wraps you made in the previous step and wrap again a couple of times to secure. 3. 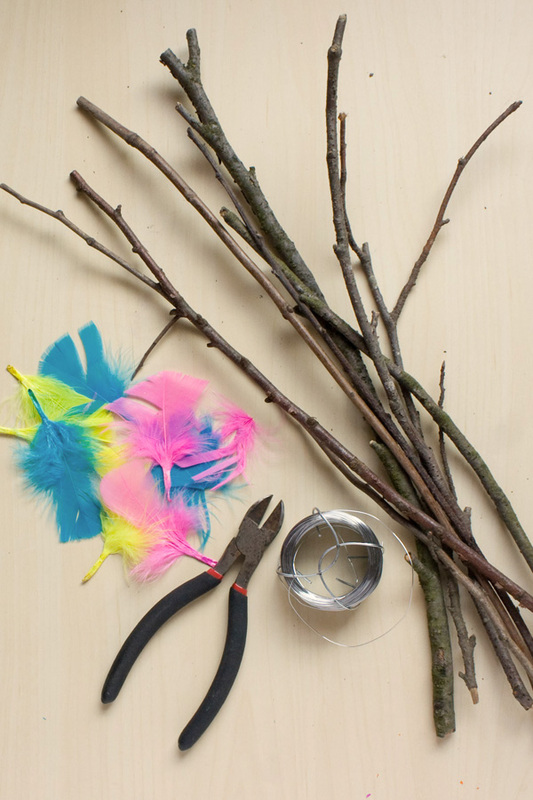 Turn the twig around slightly and add another feather in the same way. 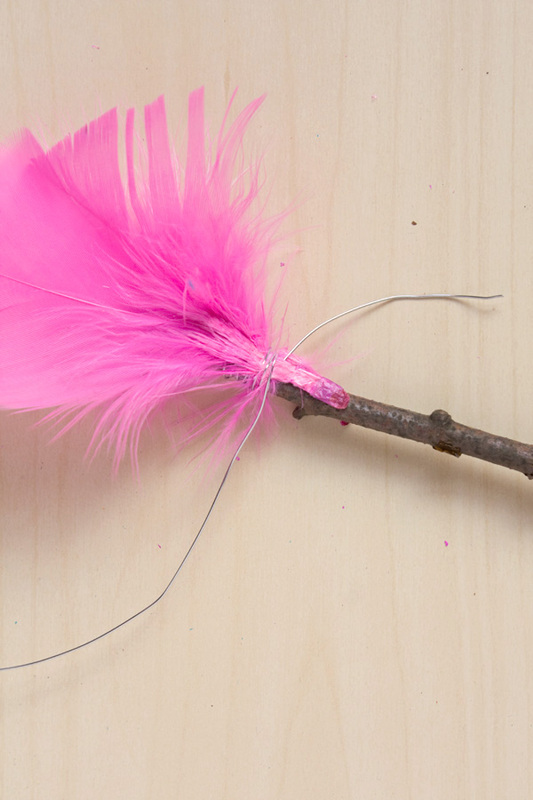 4.Add a thrid feather to the twig. This covered my twig, but if yours are chunkier you can always add more! 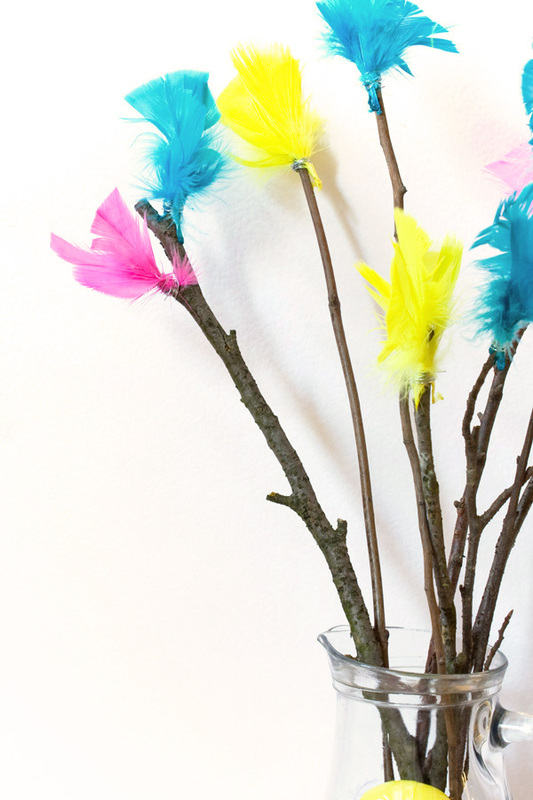 5.Repeat this process on as many twigs as you want, then display in a jug or vase! If you make your own paskris tree this Easter or have anymore info as to its origins, let me know by commenting below, or message me on on Twitter, Instagram or Facebook! Happy Making!